A whole economy has sprung up among the streets of Chicago and one of the main purveyors of that new side of the scene is largely paced by the clothing boutiques that help style it. Jugrnaut has been around for what seems like forever now and this weekend unveiled their latest offering for Summer '16 which continues the brand deeper into the new year. At first look, a personal favorite is the white 'Rock Steady' tee which draws inspiration from the early hip-hop and skate crews of the late 80s and early 90s and is set off with the cuffed sleeves. 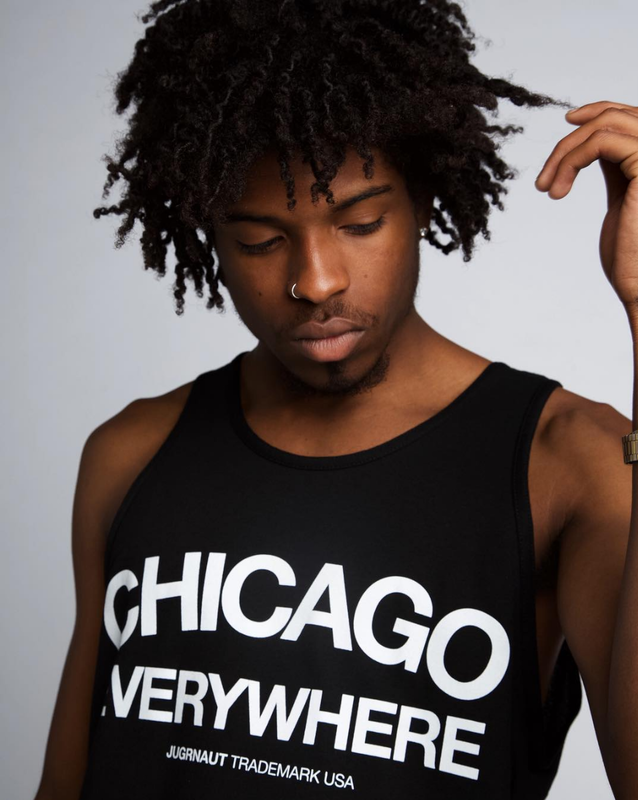 Included is a series of t-shirts and tank-tops perfect for the warmer months including the 'Chicago Everywhere' which is as much a slogan as it is a real assertion of local music recently. Click the photos above to get through to the buy page for each and keep an eye out for plenty more.